Business Incubator and Accelerator Directory—USA: According to Carl Schramm, there were 1,600 business incubators and accelerators in the US in 2016. The Business Incubator and Accelerator Directory—USA presently only lists about 10% of that number, so use it freely, but keep looking round where you are! They come in many different styles and each tends to have its own particular focus. If you are looking for an incubator or accelerator, you will need to visit them to discover exactly what they offer. On the right is the shared working space at the Houston Technology Center. It is difficult to define accurately which organizations are incubators and which are accelerators. Both sponsor the development of new enterprises. Both are highly valuable for the networking opportunities available. Incubators may or may not offer access to capital and frequently offer desk or small office spaces. Accelerators are most often based on competitive entry programs, are for limited periods. Finance is generally part of the deal and capital is generally in exchange for small equity stakes. Both frequently offer (and some insist) on learning programs. Some business incubators and accelerators are commercial enterprises, others are nonprofit or based on cities and universities (there are over 200 based at business schools), or combinations of them. Another type of accelerator is associated with their sponsoring venture capitalists. Some funders are quasi-accelerators, offering pre-seed money and mentorship on a competitive basis. There are also a growing number of large companies offering sponsorship and free products/services to eligible startups. Also, some accelerators will work with major companies on spinoff startups. 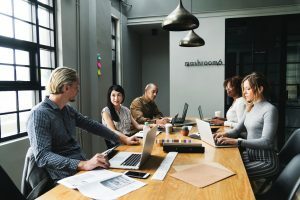 In addition, there are many co-working spaces, where networking can occur, but not an organized basis as with incubators, that offer formal events and training. Some accelerators and incubators also offer co-working space. There are also a growing number of maker spaces, where tech entrepreneurs can find equipment and networking for small-scale manufacturing. Alternatively, you may find what you are looking for in the Coworking Directory—USA, since there is beginning to be a blurring between the two types of spaces. Indeed, some have both incubation and coworking spaces. This Business Incubator and Accelerator Directory—USA is under constant review. Comments and additions are welcome. Each entry is marked I for Incubator and/or A for Accelerator. Where they specialize, they are marked: SE for Social Enterprise; T for Technology; W for Women. Where they have even greater specialization that is shown in brackets. The Business Incubator and Accelerator Directory—USA in incomplete—for sure. Please write to will@venturefounders.com to make additions, updates or improvements. Here is a resource that social entrepreneurs will love: the free Accelerator Selection Tool provides the most comprehensive listing of impact-focused accelerators, incubators, business plan competitions, and fellowship programs in the world.